A few weeks ago, I shared a video walk-through of one of my most popular fall projects, my dollar store floral wire pumpkins. These pumpkins are quick and easy to make, and you can get the supplies at the dollar store. 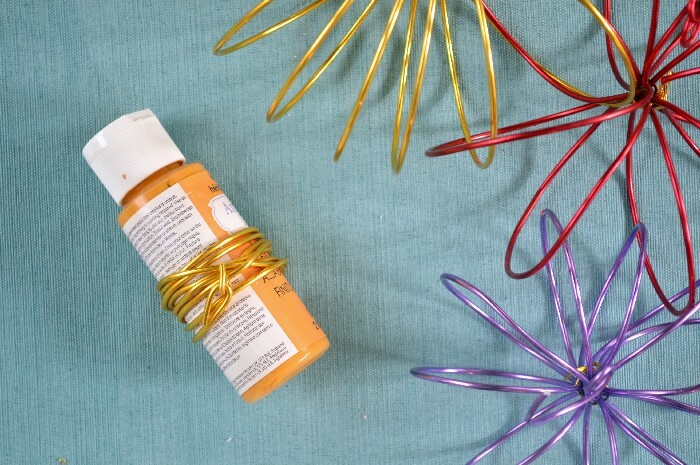 The floral wire you can find at Dollar Tree is great for a wide variety of projects. 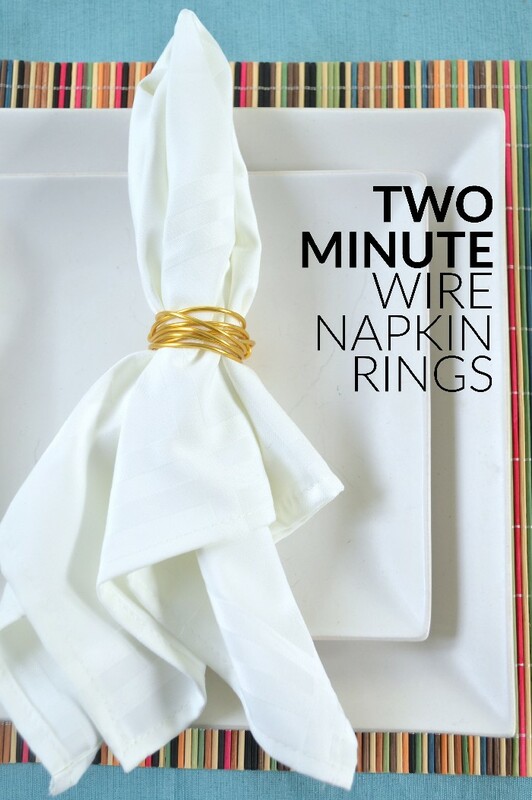 I used the wire to make some two minute napkin rings that coordinate with the floral wire pumpkins perfectly! 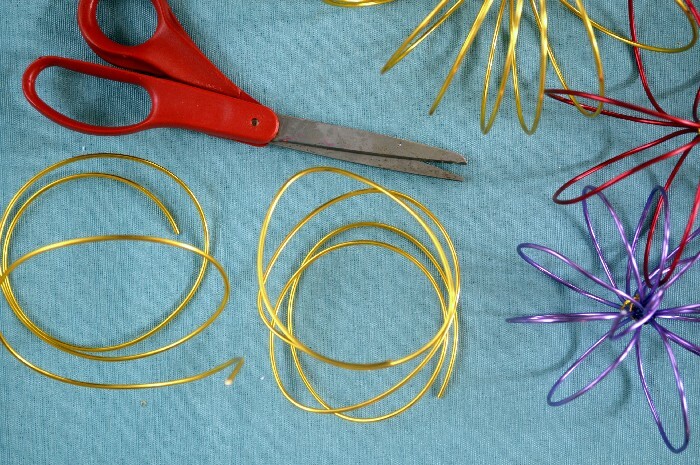 Unravel the floral wire and cut the wire in half with scissors or wire cutters. Each piece of wire should be roughly three feet in length. Wrap the wire around a small cylinder. I found that bottles of craft paint are the perfect size for this project. 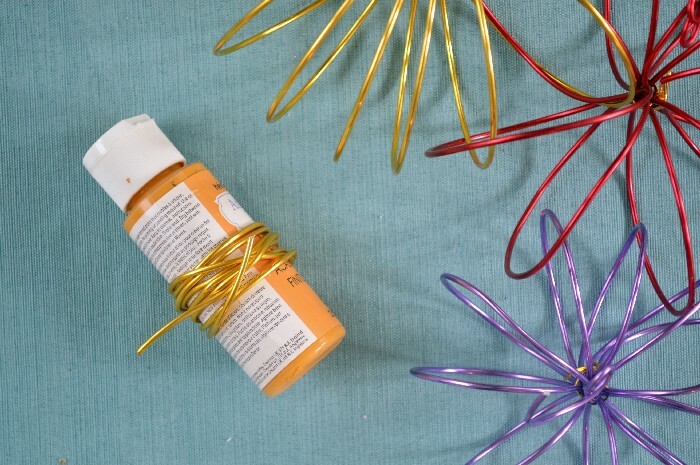 Overlap the wire as you wrap to give it more dimension. Twist the two loose ends around each other, and bend the sharp ends in. 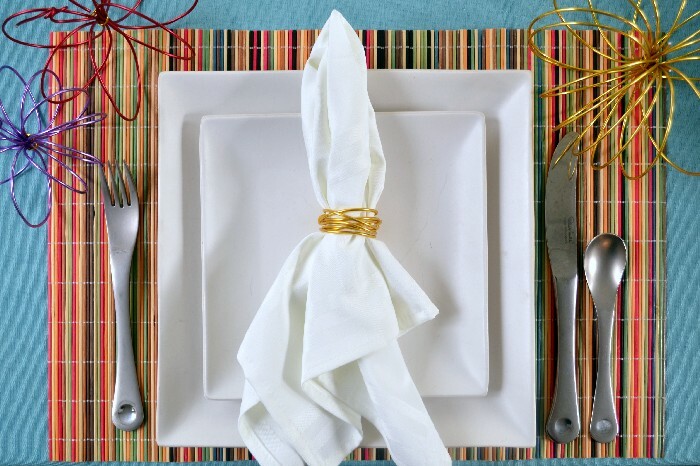 Slide the wire off of the cylinder and your napkin ring is done! 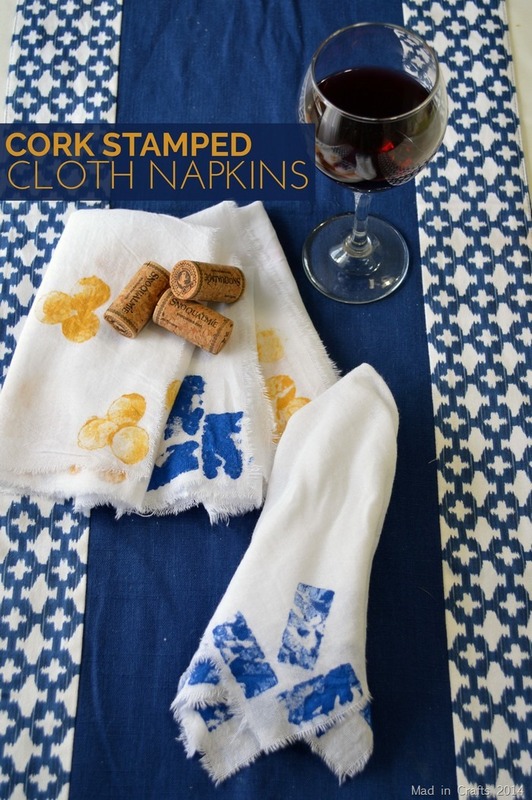 Pick up a cloth napkin by its center point and feed the napkin through the ring. 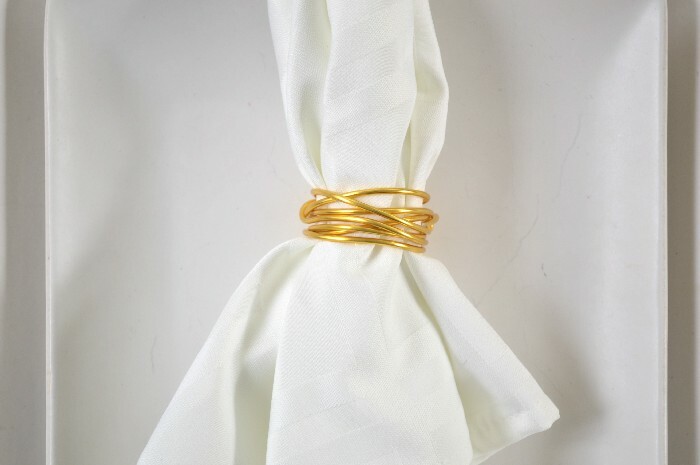 The napkin rings add a functional and beautiful element to your place settings. 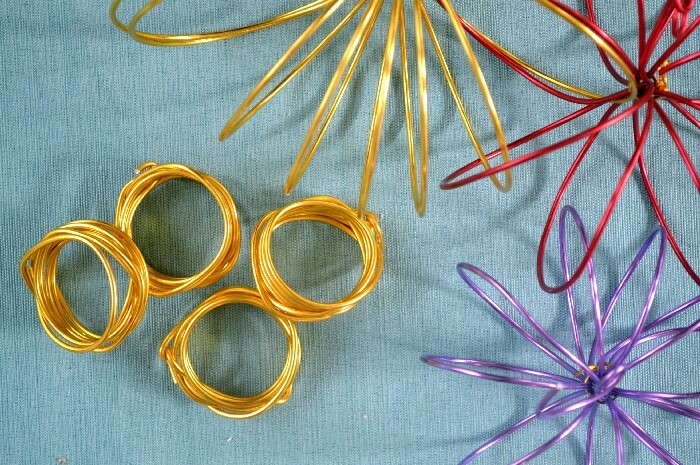 Each ring will cost you only 50 cents to make, and you can make plenty of napkin rings in half an hour. 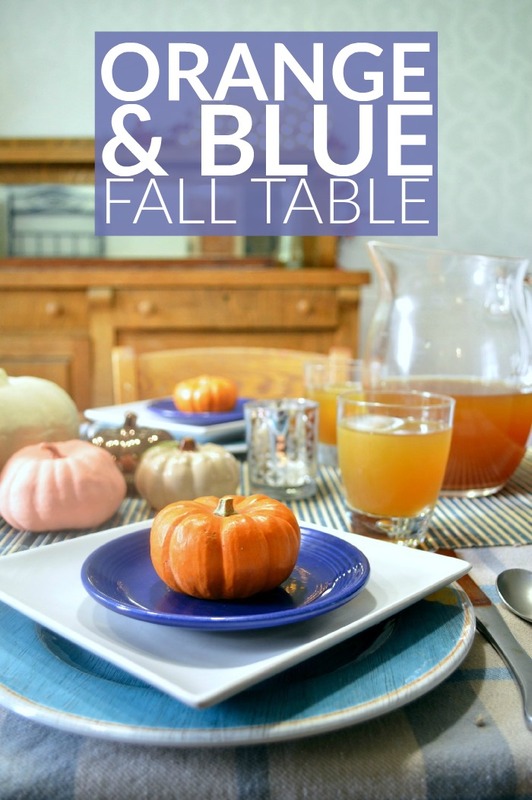 Wouldn’t these be pretty on your Thanksgiving table?